Le Forgeron D‘or was founded in 1989, in Sainte-Marie de Bauce, by Richard Grenier and his wife Agnes Goujon. Since its beginning, Le Forgeron D’or distinguishes himself by displaying his unique artistic style and his outstanding creations. Richard is an artist at heart. From an early age, he has developed his own artistic style through drawing, poetry and wood carving. It’s in 1981 that he turns to the art of jewelery. 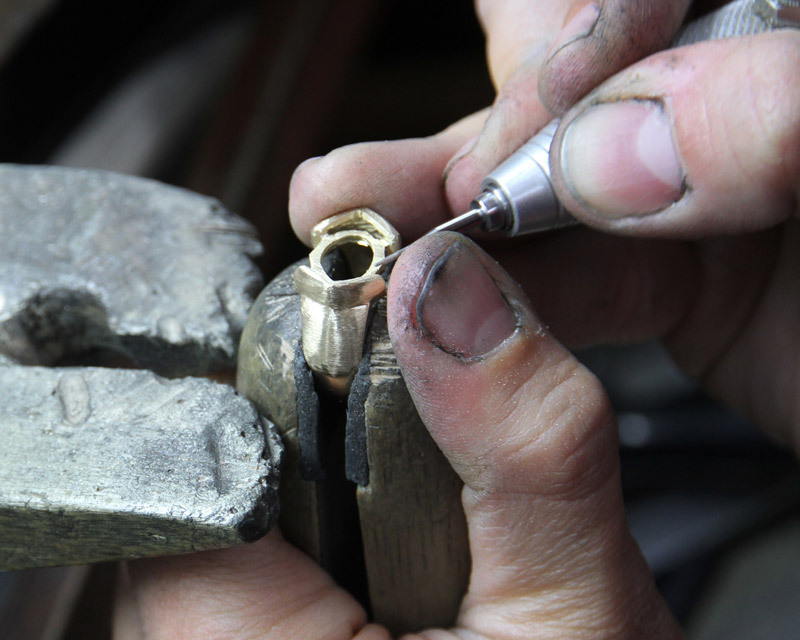 After learning the trade of jewelery in Quebec, he decides to expand his knowledge as well as to learn new techniques in Switzerland and Australia, two countries well-know for jewelery. It’s in their small appartment that their dream comes true and the company has grown considerably since. In 2004, the Forgeron D’or joins the ÉCONOMUSÉE® Network, becoming the first and only ÉCONOMUSÉE® in Quebec. In 2010, the Forgeron D’or acquires new premises allowing him to tripple the shop’s size. He also glazes the entire workshop so visitors can observe the jewelers at work. Finally, in 2013 the Forgeron D’or opens a second shop in the prestigious and historic Quartier du petit Champlain in Quebec City. 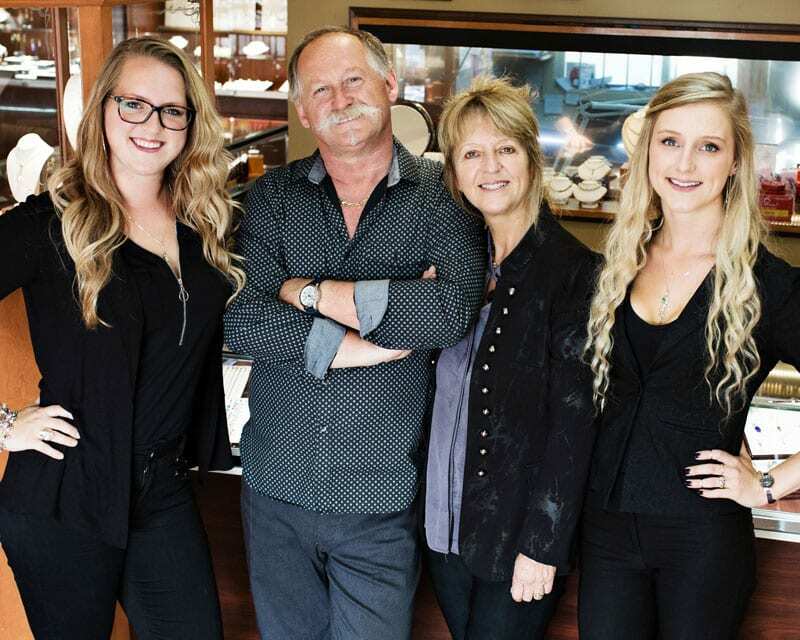 It is with passion that Richard and Agnes’ two daughters, Emmanuelle and Sandrine, want to take over the family business. Emmanuelle graduated in fashion design while Sandrine graduated in business management. 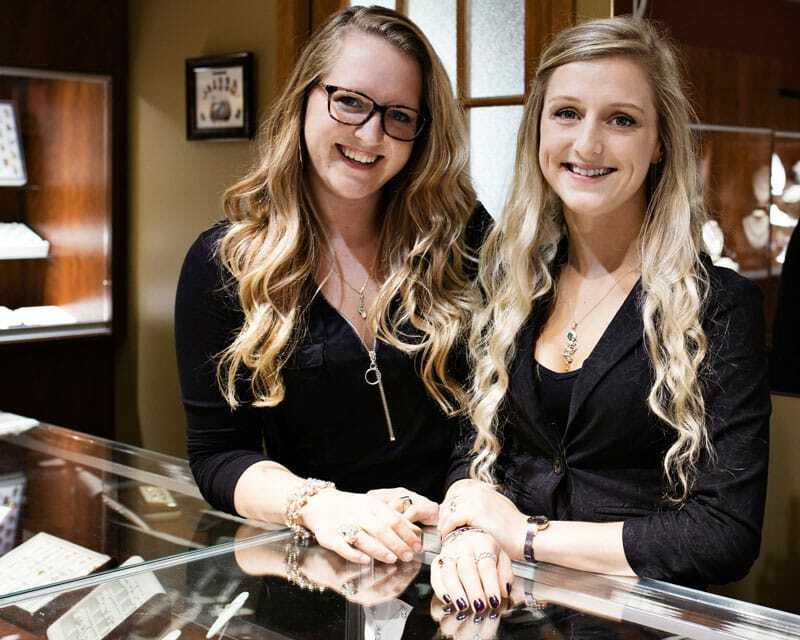 Being both involved in the family business for a long time, it is with passion and pride that the sisters learned the trade from their parents.